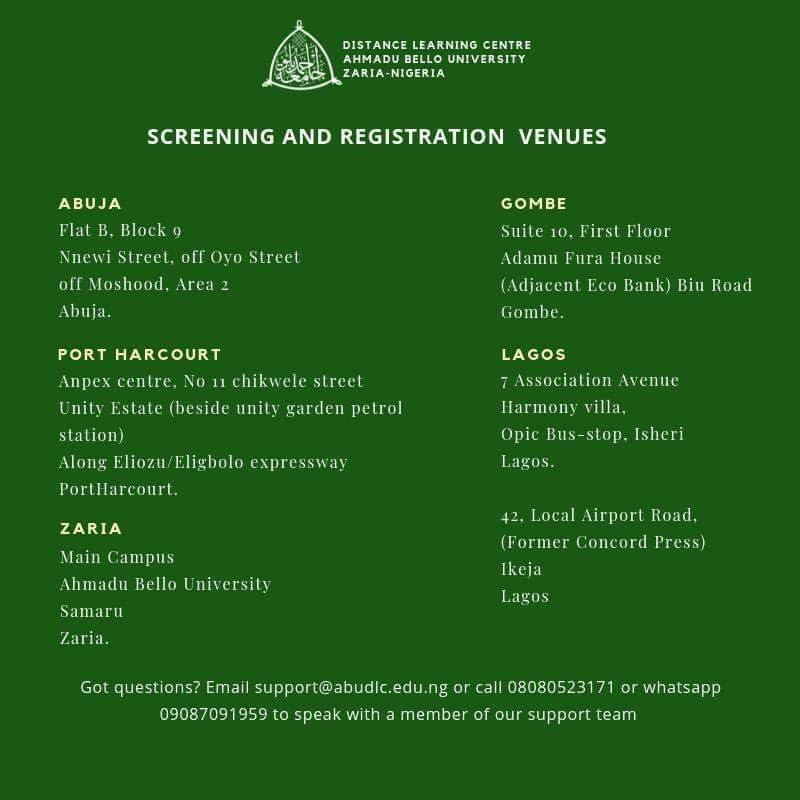 Once you have successfully gone through the screening exercise, all that’s left for you to do is to register your courses, make payment and get acquainted with our e-Learning platform. JAMB result not older than 3 years with a cut-off mark of 180. Minimum of 2 A level passes in social sciences subjects in IJMB or Cambridge or Basic Studies Terminal Examinations. Filling two Registration forms (to be provided). Provision of 6 coloured passport photographs. The collection of Course Materials: Vigidrive and Hard copies. Presentation of original copies and 2 photocopies each of all credentials (HND certificate OR Bachelor’s degree certificate) for inspection. Presentation of original copies and 2 photocopies each of all credentials (SSCE, B.Sc, HND, NYSC) for inspection.